Everyone has his or her price, and now we know what that price is for Mariah Carey and Elton John. Russian billionaire Valery Kogan paid $4.2 million to have Sir Elton John and Mariah Carey perform at his teenage granddaughter's wedding in London recently. The nine-hour affair took place at London's Landmark Hotel where he bride, 19-year-old Irene Kogan married Daniel Kevey. Irene's grandfather, Valery Kogan, is one of the richest people in Russia with a net worth of $2.5 billion. Kogan, 65, co-owns Moscow's Domodedovo Airport, the largest and busiest airport in Eastern Europe. The 19-year-old newlyweds and their guests sat down to a nine-course meal of yellow fin tuna tartare and roasted fillet of dry-aged beef. The wedding cake reportedly stood 10 feet tall. Elton John kicked off the night's entertainment with a 12-song set and dedicated his famous song "Tiny Dancer" to the young bride. 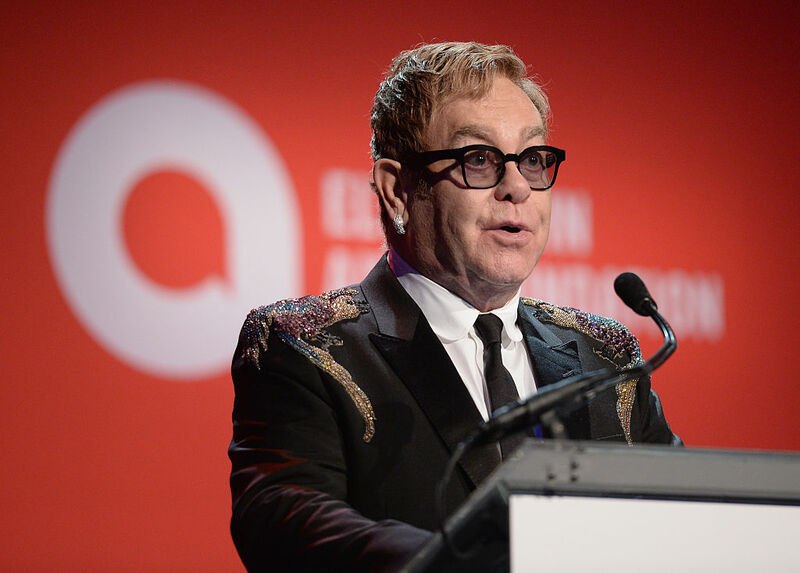 Irene cried when Elton dedicated the song to her, saying, "This is for Irene. She's not that tiny, but I know she's a really good dancer because I can see her down there." John also performed his hits including "Your Song" and "I Guess That's Why They Call it the Blues." Carey was specifically requested by the bride as her billionaire grandfather flew her in from the U.S. for the event. The wedding was Mimi's first performance since her truly disastrous lip-syncing debacle on New Year's Eve. She performed her 2005 hit "We Belong Together" for the newlyweds and also sang a number of her hits including "It's Like That" and "My All." Actor Antonio Banderas gave a speech to honor the couple and the night was capped with a set by DJ Mark Ronson. The luxurious wedding was attended by a who's who of Russian high society.